Listen: Professor Simon Tormey in conversation with Stephen O’Doherty. Has the world changed a lot since WWI? Well, yes and no. Society, culture and technology have obviously all advanced but some of the political issues that drove the world to the Great War are still apparent in global political tensions. 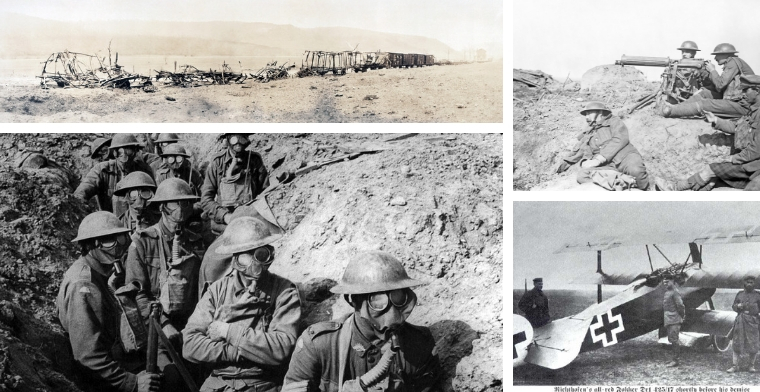 The world had never seen anything like the sort of conflict World War One turned out to be. While it seem quaint now that hot air balloons were deployed to get a long range view of opposing forces and to direct cannon fire, World War One was the start of a new type of warfare. “There had been no trench warfare, no air power.” explains Professor Tormey. 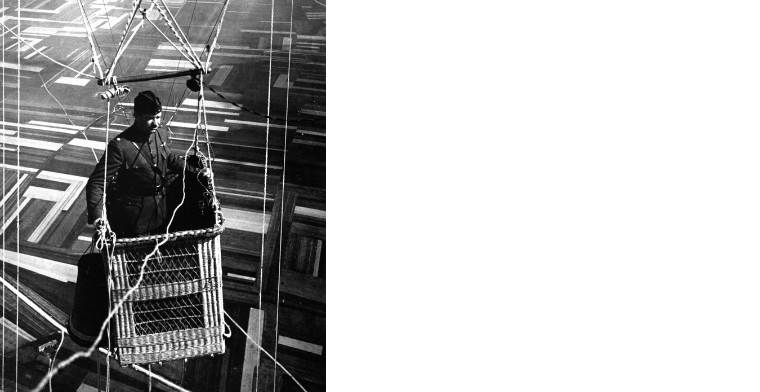 An American Major in a WW1 hot air surveillance balloon. Asked to describe the elements underlying the First World War, Professor Tormey says the conflict was “Kind of an accident waiting to happen. It was a tipping point but no one could really predict it could get into the scale of the conflict that we saw from 1915 and 1916 on wards. “There was no trench warfare to speak of before that period. There was no mechanisation of armaments and, of course, the bringing forward of the machine gun and the tank and air planes. So it was a first grade experimental technological war really. On the European continent ,in particular, it became a long drawn out affair with each side fighting from opposite trenches on the front.” he says. Clockwise from top left: German ammunition train wrecked by shell fire, c.1918, British Vickers machine gun crew during the Battle of Menin Road Ridge, The Fokker triplane belonging to Manfred von Richthofen (the “Red Baron”), Australian infantry in a trench while wearing Small Box Respirators, Ypres 1917. Photo credits: Wikipedia. “The minimalist reading of what’s going on here is of course, that Germany seeking to flex its muscles and is interested in expanding into areas that had previously been co-opted by the French and the British. Then you get a very kind of thrusting, new military environment in Germany which was really pressing Bismarck to use this kind of military might to expand its borders and to push into Poland and south into Austria and maybe even take on the crumbling Austro-Hungarian Empire – which was an ally of Germany in the First World War but which obviously formed part of the Germanic sphere of influence if you like.” he says. Obviously it was a huge miscalculation to discount British involvement in the conflict, explains Professor Tormey. “What we’ve got to think about is what going to war meant in 1914. There hadn’t been a major world war before that. 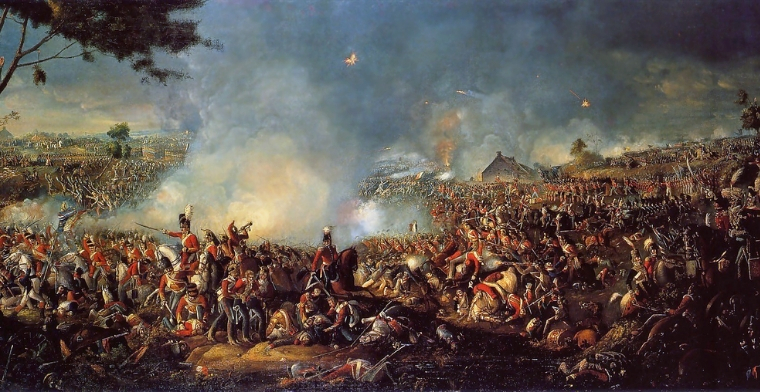 The European continent had experienced a great many wars over the course of the 18th and 19th century. These are in the form of inflicting a bloody nose on an uppity neighbour. The last great Imperial expedition I guess was the Napoleonic campaigns at the start of the 19th century. so that was well beyond living memory of most of the policy makers as you come to the end of the 19th and into the early 20th century. “We used to use this phrase ‘gunboat diplomacy’ where Britain often suppressed the inquisitive kind of military demands of its neighbours by sending a flotilla along and trashing a navel port or a medium sized town as a reminder of what it would be to take on the British sphere of interest.” says Professor Tormey. “The First World War starts the 20th century if you like. The Second World War is caused by a very different set of events- the rise of very militant very hostile ideologies, Fascism in Italy and National Socialism in Germany.” says Professor Tormey. “Both those ideologies have their roots in the First World War so we have to see them as linked. 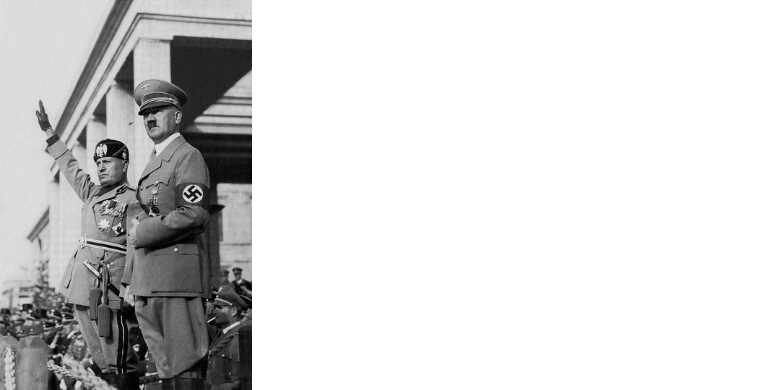 Particularly in the case of Nazi Germany this is a response to the Weimar settlement which hived off great chunks of Germany to France on the one hand, Poland on the other, Sudetenland and so on, and really left the country in tatters with a great sense of having been betrayed.” he explained. “The ‘stab in the back’ theory of course was one of the key factors that explains the rise of Hitler. The fact that Germany was not defeated on its own soil.That it was let down by its own aristocracy and its own elites.” explains Simon Tormey. “This kind of planted the seed for a sort of national resentment. We have a very similar scenario in Italy. Again the reading was that it had been let down by these bourgeois, decadent elites. That what was needed was a kind of strong authoritarian figure to get Italy back on its feet, and looking backwards towards Rome and the glorious years that were sort of articulated as a way of getting people mobilized behind a fascist project.” he says. “What we’ve got is a kind of combination of resentment, a story of betrayal, new very patriotic ideologies which were feeding the sense of resentment but also this sense of power and the need to sort of inflict pain and suffering on the near neighbours who had done the same to them in the First World War.” says Professor Tormey. “These [nationalist] ideologies have their origin in ideas in the 1870’s and 1880’s. In Germany you have a raft of far right ideologies; Oswald Spengler, Muller Van Den Broek, Friedrich Nietzsche is often mobilized in these things.” he says. 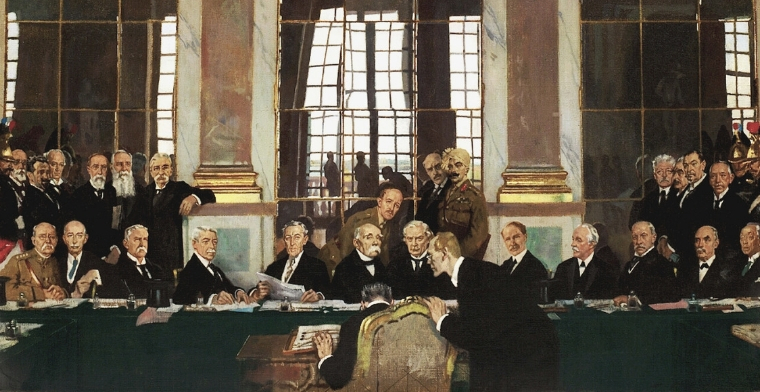 The Treaty of Versailles caused huge resentment in Germany. “There was a sense of German destiny combined with German resentment that the Germans had somehow been hampered as developing fully as a country. Of course, too, you’ve got to think Germany and Italy were both new countries. They date from the 1870’s and so what we’ve got is a kind of nascent sense of countries that have been hampered in their development.” Professor Tormey explains. “They have been defeated in the First World War. They need to re-build and re-stock and re-energize and project themselves forward. Britain had nothing like a British national ideology nor frankly did France.” says Professor Tormey. Benito Mussolini and Adolf Hitler. On 25 October 1936, an axis was declared between Italy and Germany. “We are living through a very interesting time in the world. I’m a specialist on populism and really since 2016, it’s very difficult to put the phone down – enormous interest in what people see as the polarisation of politics now between a kind of the nativism of people like Donald Trump and the new regime in Italy and then the kind of cosmopolitanism and leftism which is kind of anti-austerity based as well. [Which we see] in countries like Spain, and the nascent leftist movement across the European continent. The big kind of question mark is Britain and Brexit. That is kind of an interesting one from the point of view of Australia. 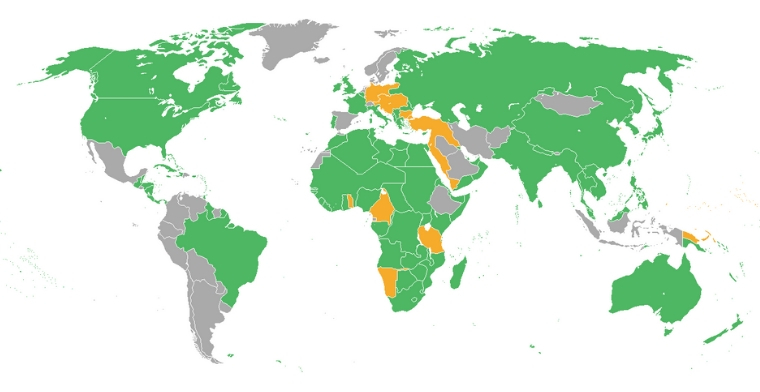 Britain is looking forward to energising it’s Commonwealth links. It feels that it doesn’t need Europe as much as Europe needs it.” Britain is due to exit the EU in March 2019. “These are awkward times for Australia in terms of trying to re-negotiate between these different messages. Of course we are having to really negotiate between China and US as we move on into the 21st century – not least because our economic interests are so closely tied with China’s.” he says.